We’re having another party the last weekend in August, so in addition to planning out my dessert table I’ve also been hunting for something to grill with a little more pizazz than burgers and dogs. Adam was up for the challenge, so this week I tried this rib recipe from the June 2009 issue of Food and Wine. They were good, but not perfect. 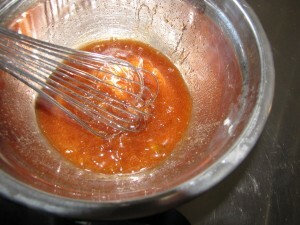 The rub was delicious, the cider mixture gave great flavor, and we had enough BBQ sauce from our spree at Big Apple BBQ in June that we had tons of great sauce for the glaze. But they weren’t the meatiest ribs, and they were a little dry. I’d get hits of absolute perfection, but it wasn’t perfect throughout. So I’m thinking of trying beef instead of pork, and possibly a different cut of rib. 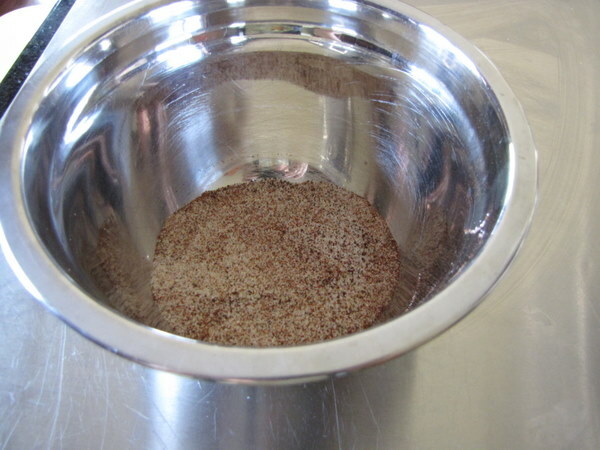 Preheat the oven to 250°. In a bowl, mix 1/4 cup of the sugar with the garlic salt, chile powder, salt, black pepper, celery salt, cayenne, cinnamon and white pepper. Transfer 1 tablespoon of the spice mix to a medium bowl and whisk in the cider, apple jelly, honey and the remaining 1/4 cup of sugar. 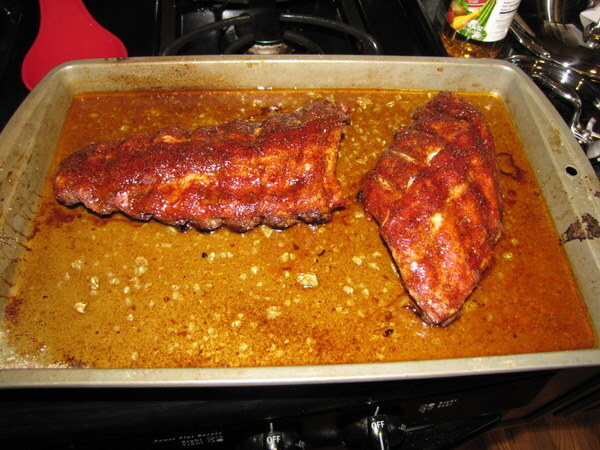 Pull the membrane off the underside of each rib rack using a towel to grasp the corner (I couldn’t figure out how to do this with my ribs). 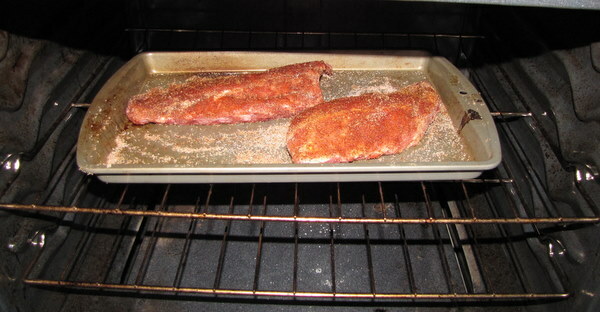 On a rimmed baking sheet, rub the ribs with the remaining spice mix; bake, meaty side up, for 2 1/2 hours. 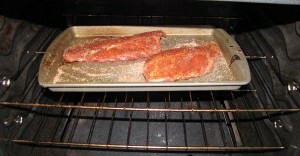 Pour the cider mixture over the ribs and turn to coat. Tightly cover with foil and bake for 1 hour. Light a grill. 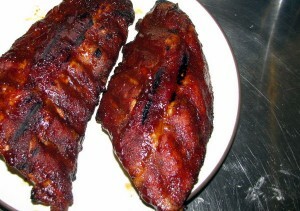 Uncover the ribs and brush with the barbecue sauce; grill over moderate heat, turning and brushing, until glazed, 15 minutes. Let rest for 10 minutes, then cut between the bones and serve.